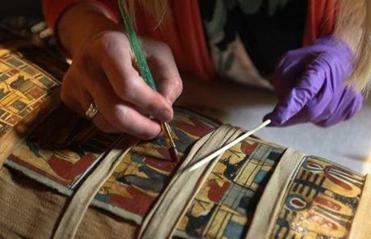 Mimi Leveque, Peabody Essex Museum conservator; Becca Melius curator at Boston’s Museum of Science; and Rebecca Barber, an intern, examined a mummy. 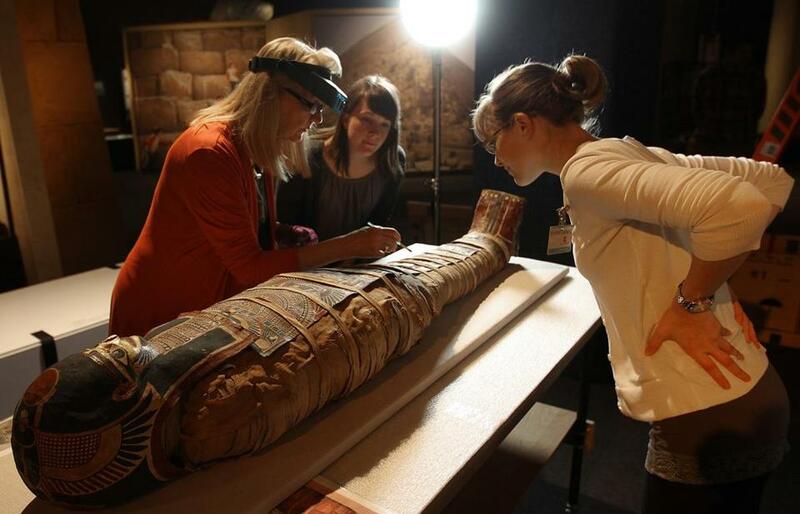 Mimi Leveque, Peabody Essex Museum conservator; Becca Melius curator at Boston’s Museum of Science; and Rebecca Barber, an intern, examined a mummy Tuesday in preparation for the Boston museum’s ‘‘Lost Egypt: Ancient Secrets, Modern Science’’ exhibit, which opens Sunday. The exhibit will include amummy prototype in its ‘‘unwrapping’’ stage. View more photos here.